Last week J.K. Rowling spoke at Lincoln Center. 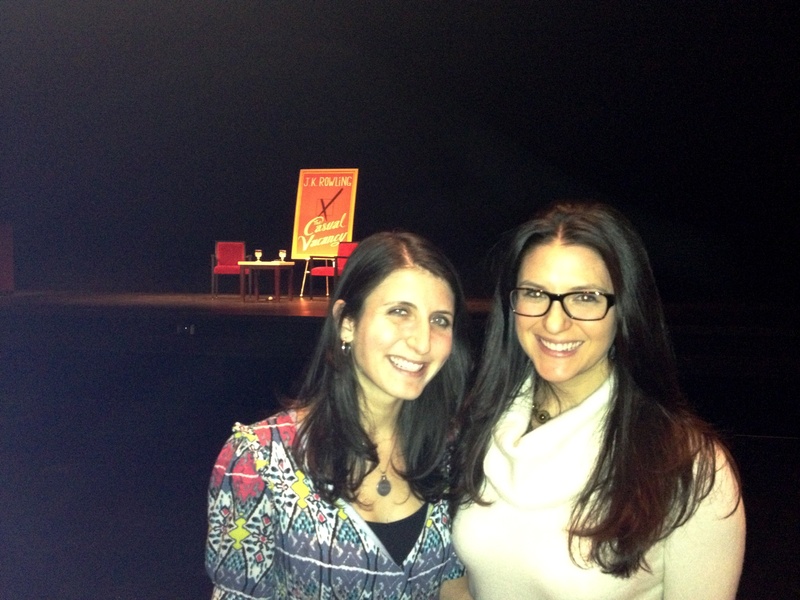 It was her only U.S. appearance to promote THE CASUAL VANACY, and Rebecca Serle and I GOT TICKETS! Not only that, we got tickets THREE ROWS BACK from the stage. 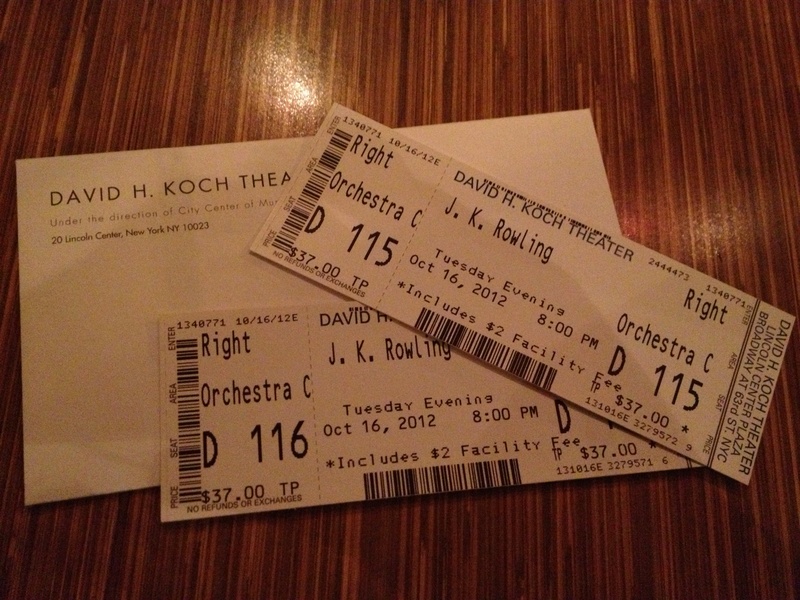 Literally there was one row between us and J.K.’s family members. 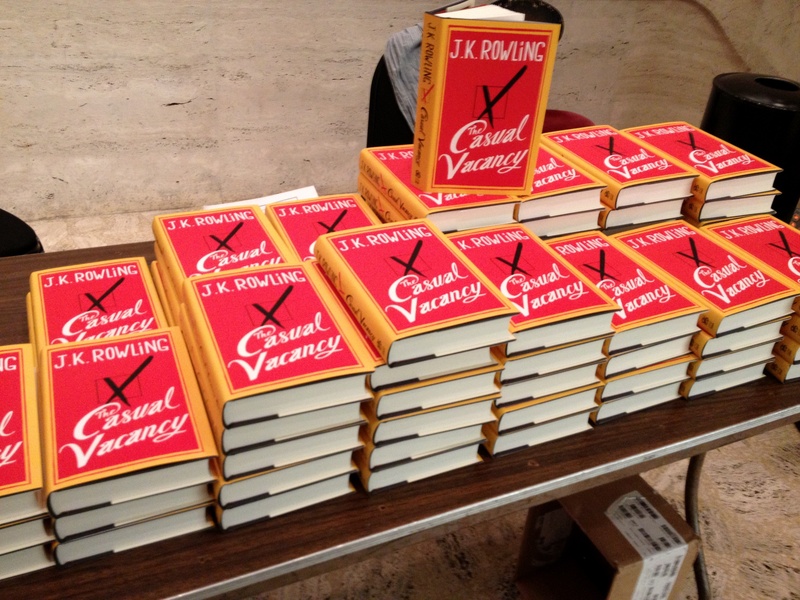 J.K. was in conversation with Ann Patchett, whose work I’ve never read, but who also seemed like a lovely and intelligent person. I jotted down some of my favorite lines from the evening and wanted to type them up here, so I won’t forget them. It will probably come as no surprise that my friend and I have launched a chocolate blog. We are on a very serious quest to eat all the chocolate. And then write about it. Very serious. If you are interested in looking at cell phone photos of chocolate, or just reading about what I do every day, visit chocolatenyc.blogspot.com, or follow the blog on Twitter at @NYCChocolate. Thanks for supporting all my creative pursuits. Even the chocolate ones! Saturday, October 27, 7 – 8:15pm, at Noella Brew Bar in Brooklyn, NY: Olivia Birdsall and I will be reading from our YA novels, speaking on the writing process, and answering questions. This is a cool local coffee shop, so it’s worth coming if only for the hot chocolate. There will be plenty of time for you to head to various Halloween parties after. Sunday, November 4, 12 – 2pm, at Newsbar in New York, NY: My writing partner, Rebecca Serle, and I are starting something new: Office Hours. We’ll be setting up shop at Newsbar, one of our favorite coffee shops, for two hours. Stop by and talk to us about writing, YA, how to revise, or how to get your hair cut. No readings, no book sales, just writers sitting and chatting with you for as long or as short a time as you’d like to stay. If enough people are interested, we’ll do Office Hours again… hopefully this can become something of a tradition. If you’re in New York City, I hope to see you at either or both of these events!